1 Bounce passes off boards to 2. 2 picks up pass and passes to 3 who is moving in. 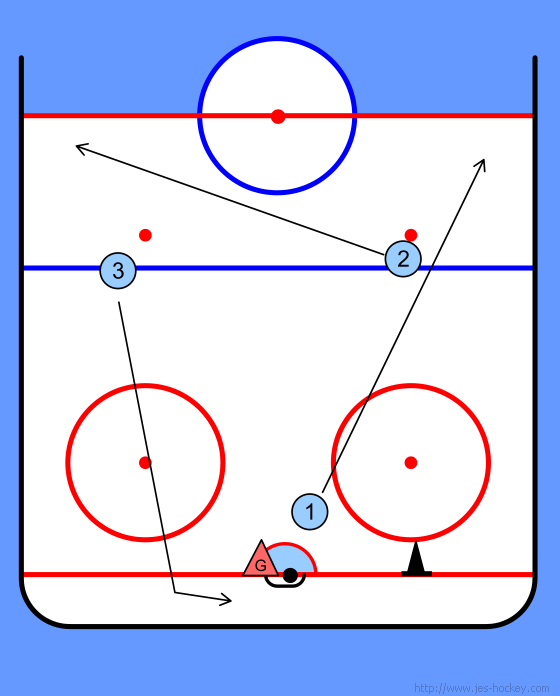 1 moves toward side boards around the cone and sets up at post of the net. 3 passes to 1 at the side of the net. 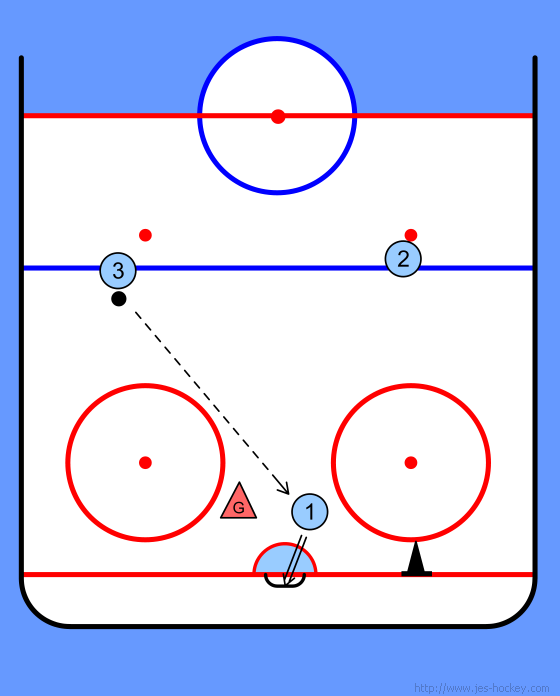 1 shoots quickly or redirects puck into the net.